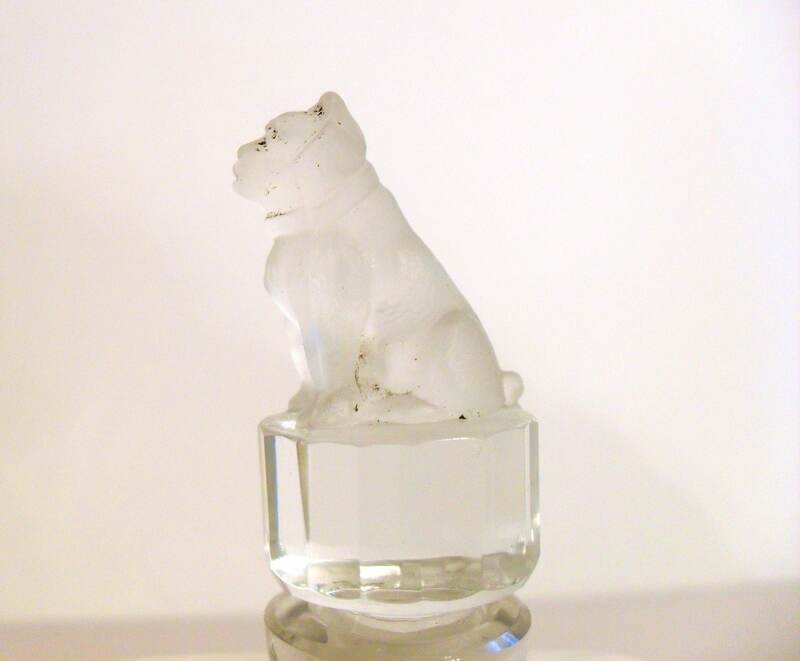 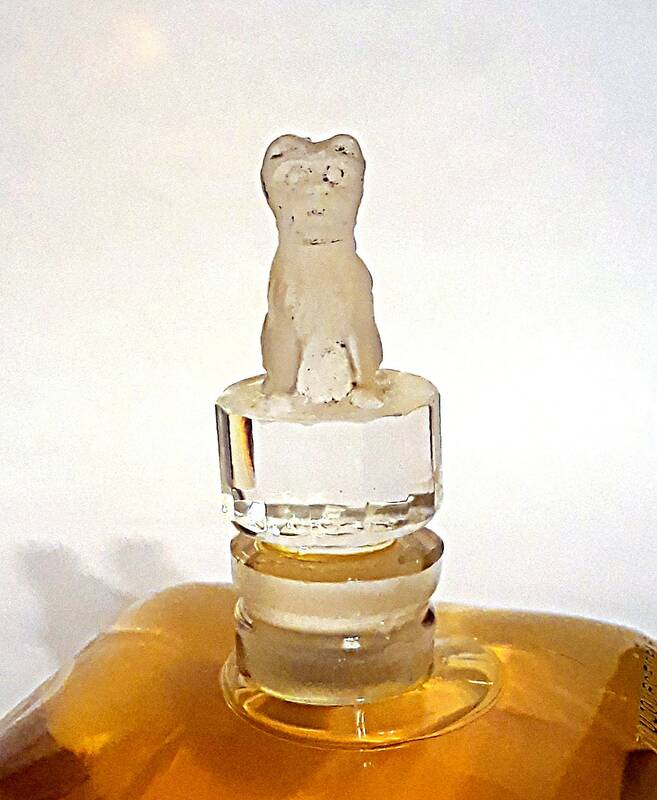 Antique Vintage 1920s Toujours Fidele by D'Orsay Figural Bulldog Frosted Glass Stopper Baccarat Perfume Bottle. 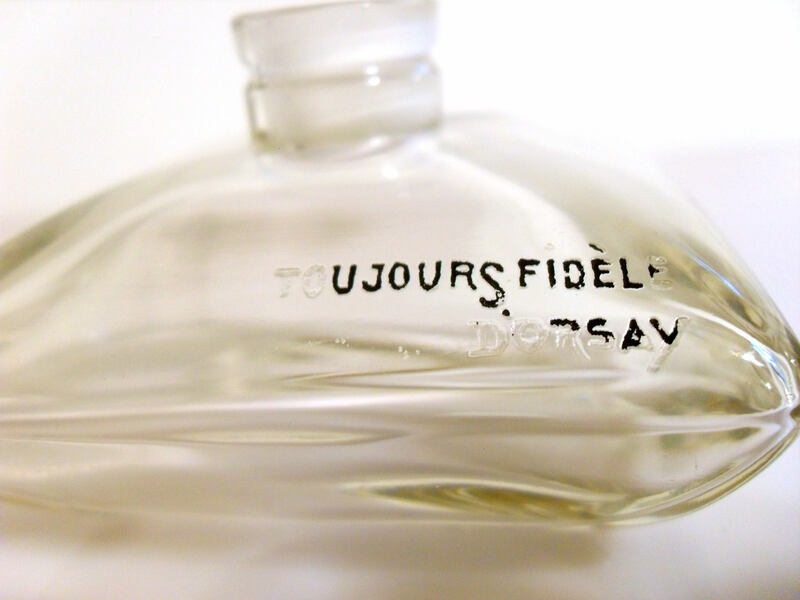 There is wear to the enameling on the "Toujours Fidele D'Orsay" lettering on the front of the bottle, see photo. 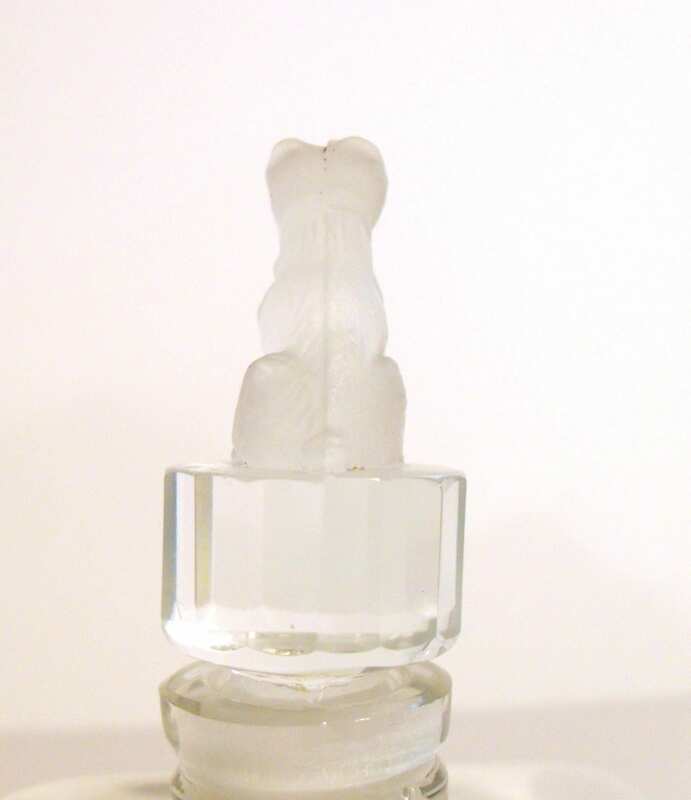 No chips or cracks to the bottle or the stopper. 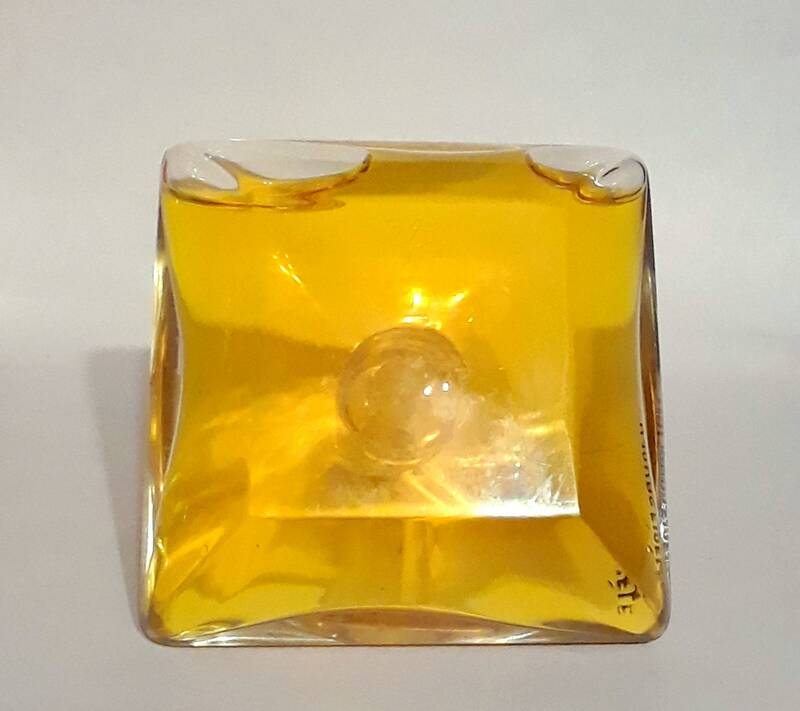 Baccarat model number 163 first produced in 1912. 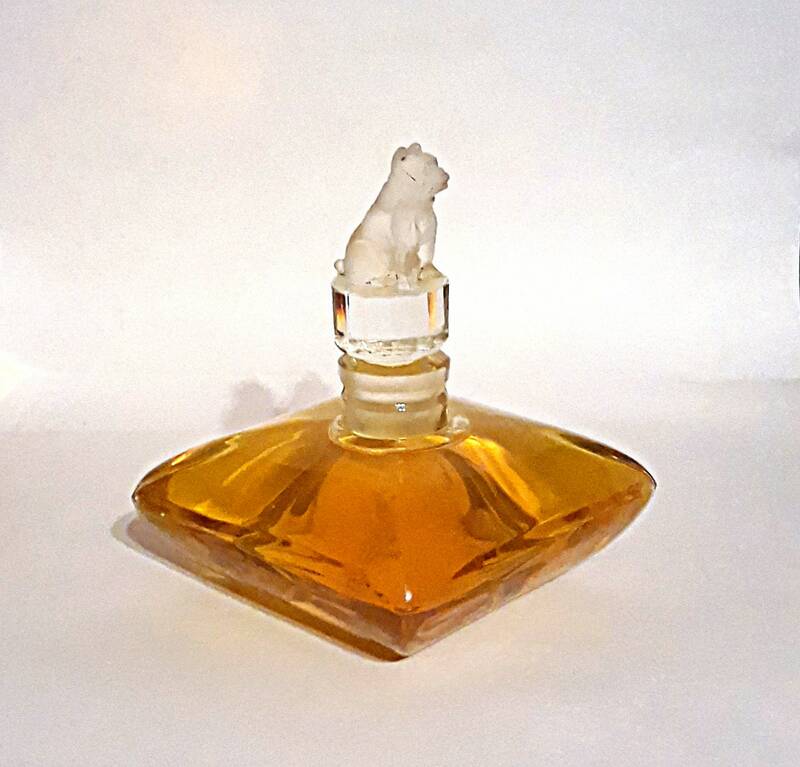 Crystal glass pillow shaped perfume bottle with frosted French Bulldog faceted crystal stopper. 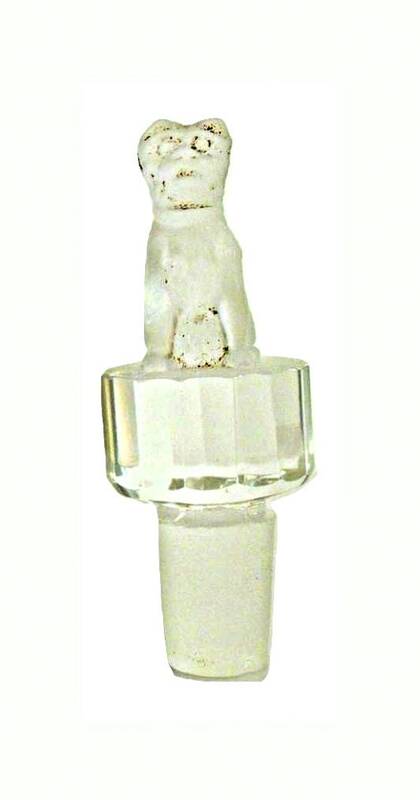 Also manufactured by Cristal Nancy. 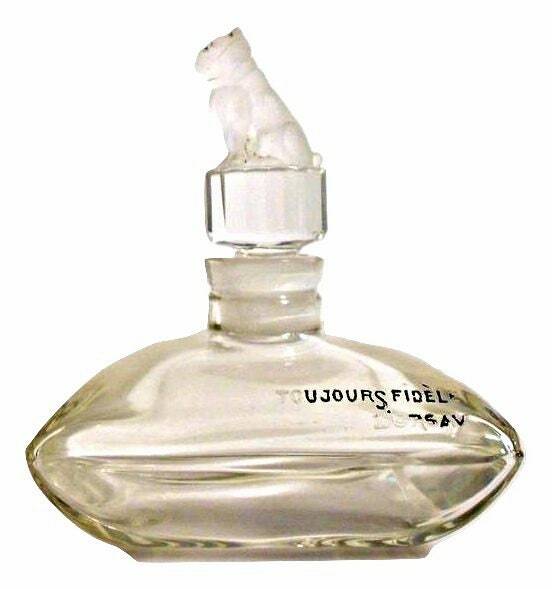 Toujours Fidele was launched in 1912. 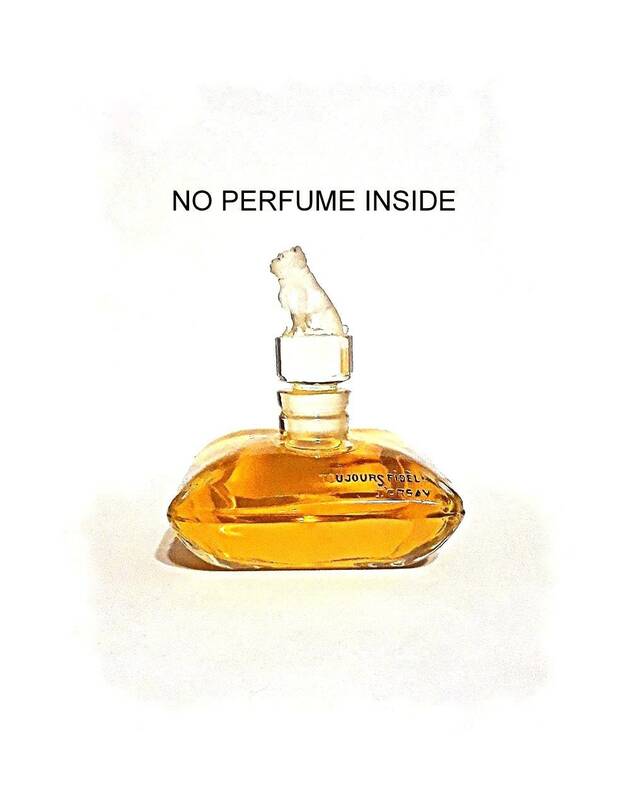 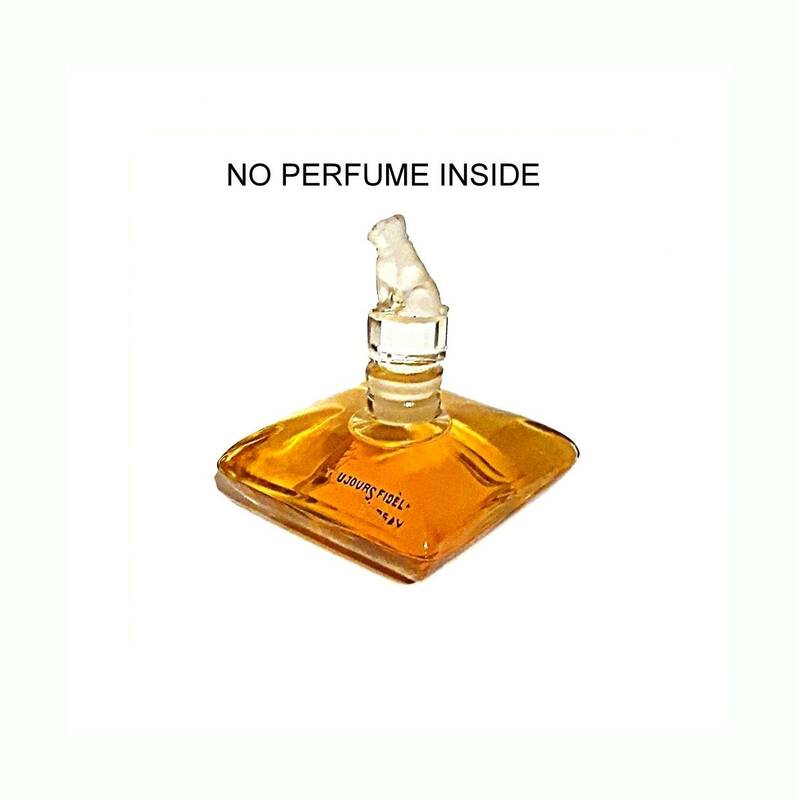 It is classified as a blended floral fragrance for women.